The role of C5a for chronic inflammation has been more clearly identified in recent years, making C5a a very attractive target for chronic and autoimmune inflammatory diseases. This is largely because of its ability to skew T-cell responses, causing a substantial imbalance and shift towards pro-inflammatory T-cell responses. In line with this finding, many chronic inflammatory diseases are burdened by flare phases with intensified inflammation causing tissue damage, which is often promoted by auto-activation of neutrophils. Blocking C5a therefore delivers various potentially beneficial effects in chronic inflammatory diseases. Blocking the C5a / C5aR signaling axis has been shown to re-establish T-cell balance by increasing regulatory T-cells and decreasing pro-inflammatory Th-17 and Th-1 responses. C5a blockade also offers a strong potential to control neutrophil activation in addition to its other important anti-inflammatory mechanisms. IFX-1, the company's first-in-class anti-human C5a monoclonal antibody is currently being developed in three disclosed and other non-disclosed chronic inflammatory diseases with high unmet medical need. HS is a chronic debilitating systemic skin disease, which results in painful inflammation of the hair follicles, typically in the axillary, inguinal and anogenital regions. The clinical hallmarks of this disease include inflammatory nodules, abscesses, draining fistulas and scarring. 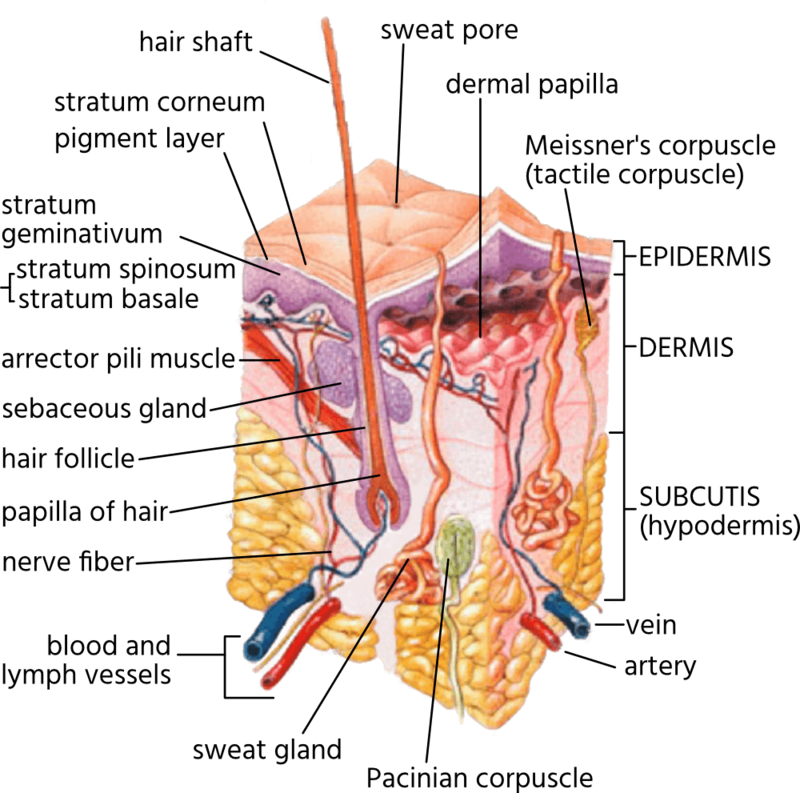 HS patients suffer primarily from two symptoms: (i) pain driven by inflamed nodules and abscess formation and (ii) significant discomfort resulting from the constant formation of pus, particularly in the areas described above, leading to a socially isolating situation. HS is typically present after adolescence and often develops into a life-long debilitating chronic disease. In the United States, up to 200,000 patients are affected yearly with moderate to severe presentations (Hurley Stages 2 to 3). In Europe, the number of affected patients is considered to be higher. The pathophysiology of HS is not fully understood, and different theories exist with respect to potential underlying causes. 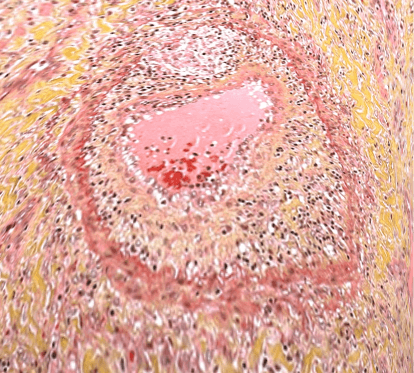 It is generally considered a systemic autoinflammatory disease, for which neutrophils are believed to play an important disease-promoting role as well as certain cytokines, such as TNF-alpha and IL-17. The standard of care for HS patients includes topical, oral or intravenous antibiotic treatment, which is an accepted (but not approved) standard of care for HS. In some cases, patients also undergo different types of surgery. Recently, one biological drug has been approved for treating patients with moderate to severe HS in the United States and Europe: adalimumab, an anti-TNF-alpha monoclonal antibody. Thus, a validated path to approval exists with an accepted clinical endpoint, the HiSCR. Approximately 50% of the patients with moderate to severe HS do not respond to adalimumab. Therefore, HS represents a high unmet medical need disease indication which is currently underserved. InflaRx has pioneered the research regarding the role of complement in HS and we found that patients suffering from HS have significant systemic complement activation. Based on these and other findings, we conducted a first open-label clinical trial in 12 HS patients with suffering from severe HS who had experienced primary or secondary failure of biological treatment or were not eligible for treatment with other biologicals. In this study, we administered IFX-1 through weekly infusions over the course of 8 weeks and followed up with the patients for additional 3 months. All patients had severe HS (Hurley Stage 3), and 9 out of 12 we reported to have failed to respond to anti-TNF alpha therapy. IFX-1 was well tolerated and no drug related adverse events (AEs) were recorded. At the end of the trial period 83% (10 out of 12) of the patients demonstrated a clinical response using the HiSCR, which is the same score that was accepted as primary endpoint by regulators in the US and Europe for Humira, which yielded a combined response rate in the two phase III studies of approximately 50%. Encouraged by our initial findings, we are currently conducting a phase IIb international dose finding study in patients suffering from moderate to severe HS. We started enrolling patients in February 2018 and plan to release top-line results in the first half of 2019. AAV is a rare, life-threatening autoimmune disease with a relapsing nature, characterized by necrotizing vasculitis (inflammation of blood vessels) predominantly affecting small vessels associated with anti-neutrophil cytoplasmic antibodies, or ANCA, directed to myeloperoxidase (MPO), or proteinase 3 (PR3). The disease involves three disease entities: 1) GPA, granulomatosis with polyangiitis (known as Wegener's Granulomatosis), 2) MPA, microscopic polyangiitis, and 3) eGPA, eosinophilic granulomatosis with polyangiitis (known as Churg-Strauss syndrome). The disease is characterized by life-threatening flare phases affecting kidney function and other organs leading to organ dysfunction and failure, with a fatal outcome unless treated appropriately. Because of the life-threatening character of this disease, it is crucial to induce remission rapidly when presenting with a flare. The treatment to induce remission differs from maintenance therapy. The disease-promoting role of C5a for this disease has been well established in published scientific literature, whereby a priming effect of C5a for neutrophils appears to be the essential factor leading to neutrophil-related damage of the endothelial cells in the vessels. In addition, patients with acute AAV disease have significantly elevated complement activation parameters in their plasma when compared to AAV patients in remission. Numerous groups have established the importance of C5a for this disease while C6 deficiency in mice does not lead to improvement, indicating that MAC formation may not play a major role in this disease. The current treatment regimen to induce remission uses a combination of High Dose Glucocorticoids (HDGCs), together with either rituximab or cyclophosphamide. The long lasting HDGC therapy is associated with significant side effects and additional life-threatening risks for the patients. Even in patients achieving remission major relapses can occur over time. Thus, the unmet medical needs for these patients are glucocorticoid toxicity and long-term organ damage. Based on the eminent role of C5a for the progression of inflammation in this life-threatening disease, InflaRx is currently conducting two clinical studies. One study in the US evaluates the safety of IFX-1 in addition to standard of care, and one study in Europe evaluates the potential of IFX-1 to replace HDGCs. Both studies are open for recruitment. In a first biological proof of concept PK/PD trial in patients suffering from pulmonary or abdominal infections and early septic organ dysfunction, IFX-1 potently inhibited C5a, left MAC formation in patient plasma intact and was demonstrated to be safe and well tolerated. This multi-center dose-escalation double-blind placebo-controlled study recruited 72 patients (16 patients per dosing group plus 8 placebo patients for each dosing group) and was a first-of-its-kind study in this infectious disease setting because patients were recruited and put on study drug within 3.5 h after screening. Besides reaching all primary endpoints, IFX-1 administration resulted in beneficial trends in laboratory parameters (cytokines) as well as in clinical endpoints for which the study was not powered to demonstrate statistical significance. The results from this groundbreaking study gave insight into complement consumption and IFX-1 PK profiles in acutely ill patients suffering from abdominal and pulmonary infections. Because of the high variability in clinical endpoints and the associated high development risk in this acute care area, InflaRx has decided to put this development currently on hold, despite these promising first results.